McLaren sold a total of 1,294 vehicles in North America last year, 184 of them in Canada, according to the Automotive News Data Center in Detroit. McLaren Toronto has been named McLaren Automotive’ s Global Retailer of the Year 2017, after selling slightly more than 100 high-end sports cars for the U.K. automaker. McLaren Automotive said in a release that the Toronto store sold a record number of cars, but didn’t divulge the exact number. Customer service, aftermarket sales and marketing were also part of the score that determined which of the automaker’s dealership won the award. The Canadian retailer, which is part of Pfaff Automotive Partners, won the overall top honour by outscoring McLaren retailers at 86 locations in 31 different markets around the world. The honour comes a year after McLaren Toronto was named Regional Retailer of the Year in 2016. “With record sales and great attention to detail, they continue to build McLaren’s brand awareness in this key market,” Tony Joseph, president of McLaren North America, said in a statement. 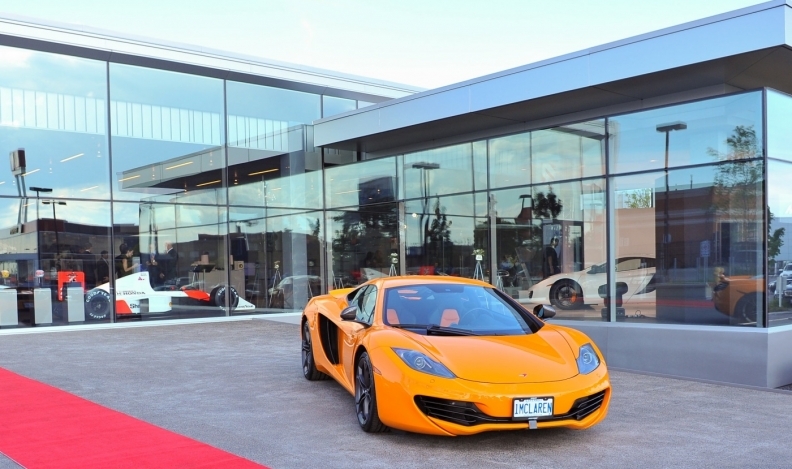 McLaren has three Canadian retailers, including one in both Montreal and Vancouver. In addition to the Global Retailer of the Year Award being announced, four other McLaren North American retailers (McLaren Philadelphia, McLaren San Francisco, McLaren Boston and McLaren Newport Beach) were nominated to the exclusive Premier Club, which recognizes the exceptional performance of the top 12 global retailers.